Hi, I’ve had lots of thoughts since returning from a 5 day stay at a Sivananda ashram in Reith, Austria. I thought I’d add them to a blog for anyone who’s interested or thinking of taking the plunge. 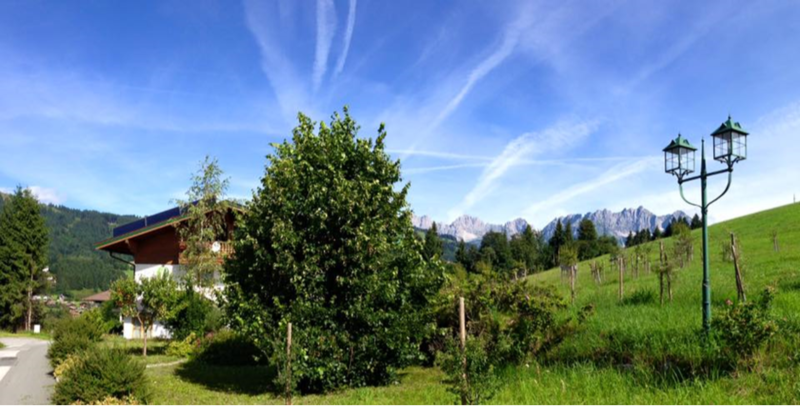 Here’s the yoga centre, Reith, Austria – it’s hatha yoga, Sivananda lineage. I loved it, it’s quite intense – chanting, meditation, yoga, lectures every day starting at 6 am and finishing at 10 pm. My course also included further yoga teacher training. You could go for the yoga vacation – http://www.sivananda.at/en/yoga-holidays.html – I think it’s about £50 per night, could be less, depending on if you go with shared accommodation or a separate room. Lots of meditation, chanting, yoga, silent walks, vegetarian food. There’s also the option to go on guided hikes around the beautiful mountains in the area. I flew to Munich and then got a shared bus to the ashram in Austria. A return trip of that was around £130. Do sun salutations every yoga practise – right foot is one round, left foot is one round. I was going off the basis of right foot then left foot is one round. All yoga postures are there for is to help with sitting in meditation. The yoga masters practise shoulderstand for up to 3 hours! Our course tutor Prema says westerners are best building up to 30 minutes – phew! Legs and feet are relaxed in shoulderstand, I used to practise by keeping the legs strong. Practise “santosha” which is acceptance for what your body can do in yoga, how flexible you are, how long you can focus in meditation for. Practise and focus, be aware of your breathing every practise, be aware of your body and how it feels in every pose. The Sivananda way is to relax in Savasana/corpse after each set of poses to allow the body to feel how it is feeling, to feel the benefits of the posture, to feel the heart beating, to feel the body breathing. For my rounded shoulders leading to neck, shoulder and arm pain – two tips, lie on floor with feet and legs on chair and lie on bed or floor without a pillow, also sleeping without a pillow. Lying on back, legs out straight, breathe in – raise right leg slowly with leg as straight as possible, pause at top, breathe out, release slowly, holding abdominals tight. Repeat 6-8 times then hold at top, take hold of behind knee or calf and hold for up to 10 breaths. Release right leg down, relax feel how the right leg feels compared to the left leg. Repeat with left leg. Then repeat with both legs. If you have lower back problems, place hands underneath legs or bottom. Great for lengthening hamstrings and also working on the core/abdominals! A wonderful experience, peaceful, hard work, structured, totally brilliant!